Finally one of your Peru flowers that I recognize - we call it the Bottle Brush Plant, it is Callistemon citrinus. Ah, yes, I see - the leaves are certainly different. 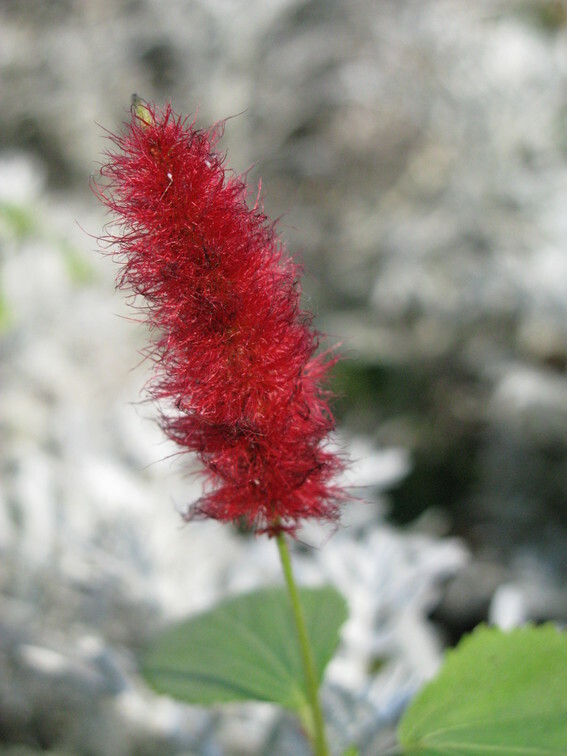 It is maybe the Chenille Plant - Acalypha hispida. Some are very small, while the giant version has long, long red 'flowers'.